Furious 7 - Dom Toretto. . HD Wallpaper and background images in the Fast and Furious club tagged: photo fast and furious 7 furious 7 2015 still vin diesel dom toretto. 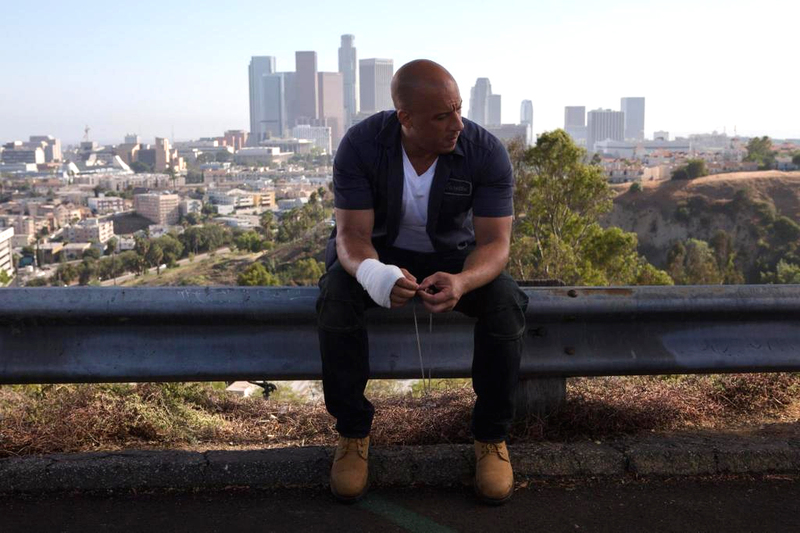 This Fast and Furious photo contains business district, downtown, crash barrier, and carriageway. There might also be street, city scene, urban setting, park bench, lunch, luncheon, tiffin, and dejeuner.